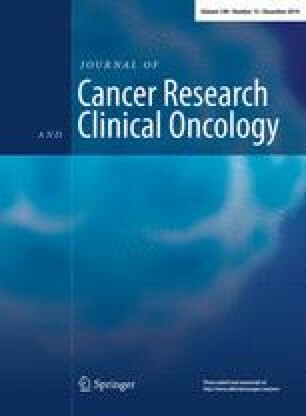 The detection of circulating tumor cells (CTCs) provides important prognostic information in men with metastatic prostate cancer. We aim to determine the rate of detection of CTCs in patients with high-risk non-metastatic prostate cancer using the CellSearch® method. Samples of peripheral blood (7.5 mL) were drawn from 36 men with newly diagnosed high-risk non-metastatic prostate cancer, prior to any initiation of therapy and analyzed for CTCs using the CellSearch® method. The median age was 70 years, median PSA was 14.1, and the median Gleason score was 9. The median 5-year risk of progression of disease using a validated nomogram was 39 %. Five out of 36 patients (14 %, 95 % CI 5–30 %) had CTCs detected in their circulation. Four patients had only 1 CTC per 7.5 mL of blood detected. One patient had 3 CTCs per 7.5 mL of blood detected, which included a circulating tumor microemboli. Both on univariate analysis and multivariate analysis, there were no correlations found between CTC positivity and the classic prognostic factors including PSA, Gleason score, T-stage and age. This study demonstrates that patients with high-risk, non-metastatic prostate cancer present infrequently with small number of CTCs in peripheral blood. This finding is consistent with the limited literature available in this setting. Other CTC isolation and detection technologies with improved sensitivity and specificity may enable detection of CTCs with mesenchymal phenotypes, although none as yet have been validated for clinical use. Newer assays are emerging for detection of new putative biomarkers for prostate cancer. Correlation of disease control outcomes with CTC detection will be important.